Google's new mobile operating system, Android, is now available on a handset that isn't the G1. 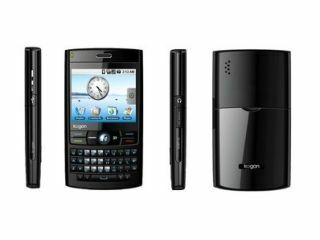 Only available in Australia, the phone is called the Kogan Agora, and will be available in Q1 of next year – 29 January, to be exact. Like the G1, the phone will feature a whole host of Google-based applications. These include: Google Calendar, GMail, a Google search bar and instant access to Google Maps and YouTube. The phone will RRP in Australia for $299, and there will be a Pro version, costing $399. Unlike the G1, the handsets won't have sliding features. Instead, the Agora has more of a BlackBerry candy bar look and utilises a 2.5-inch touchscreen. Other features include 3G and Bluetooth. If you fancy the pro version, you will also get Wi-Fi, a 2MP camera and GPS. UK users don't have to feel left out, either. The phones are available for international shipping, which will cost you around £150 for the Kogan Agora and £200 for the Kogan Agora Pro.